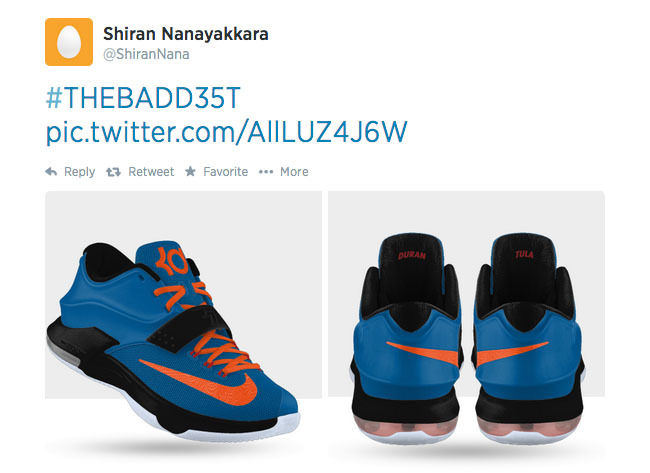 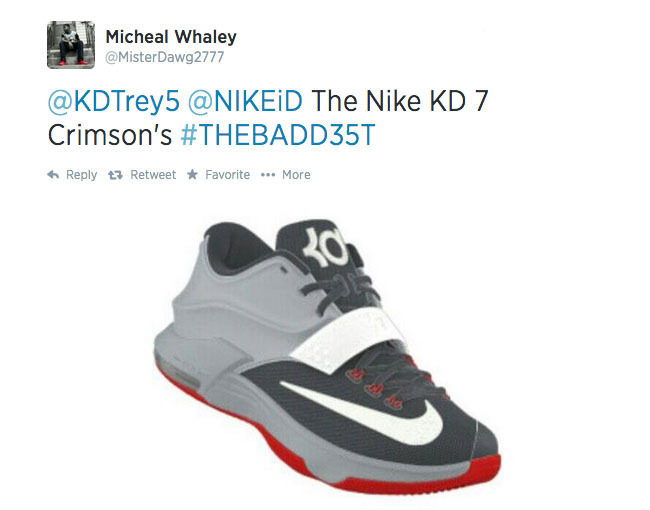 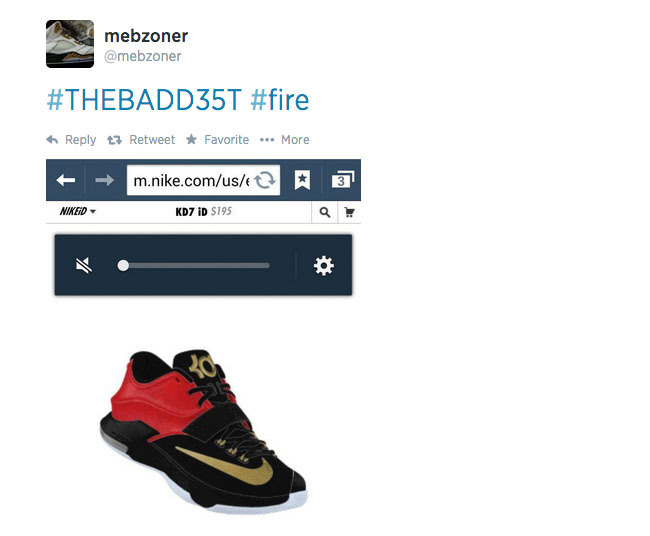 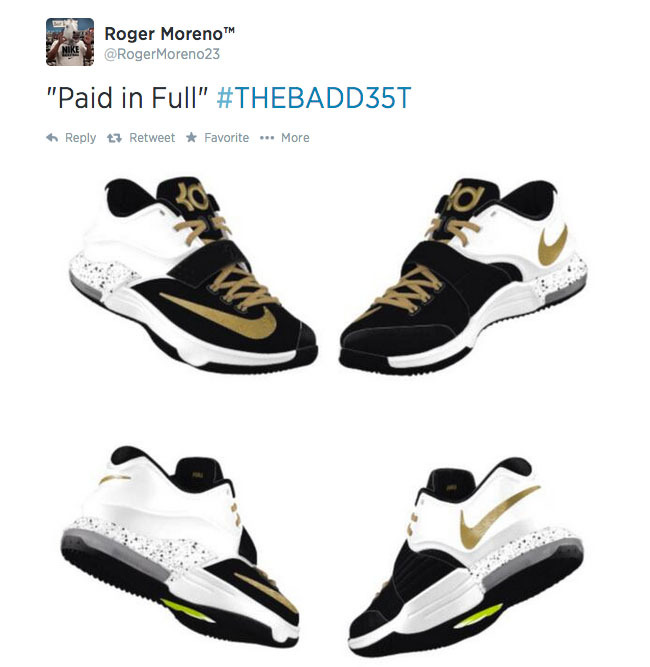 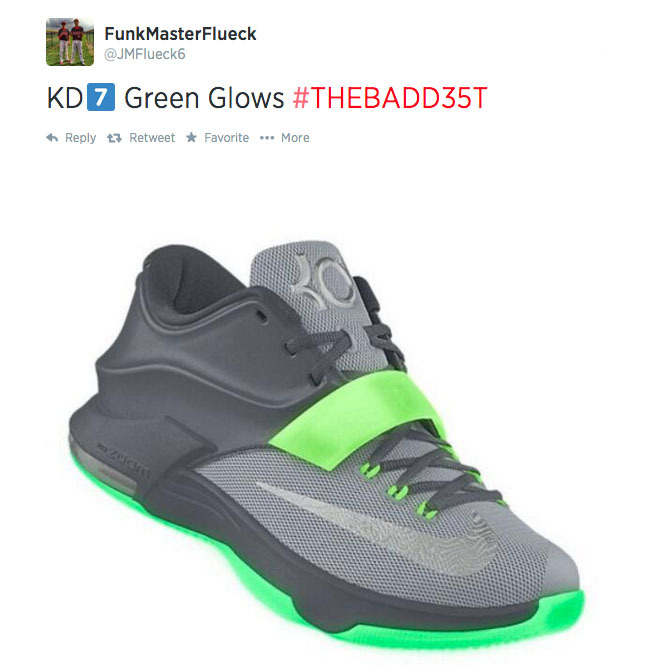 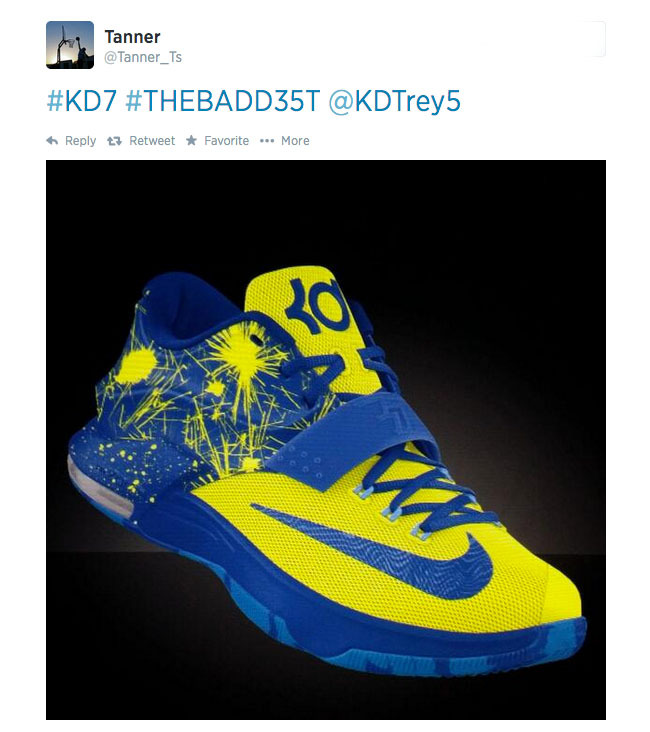 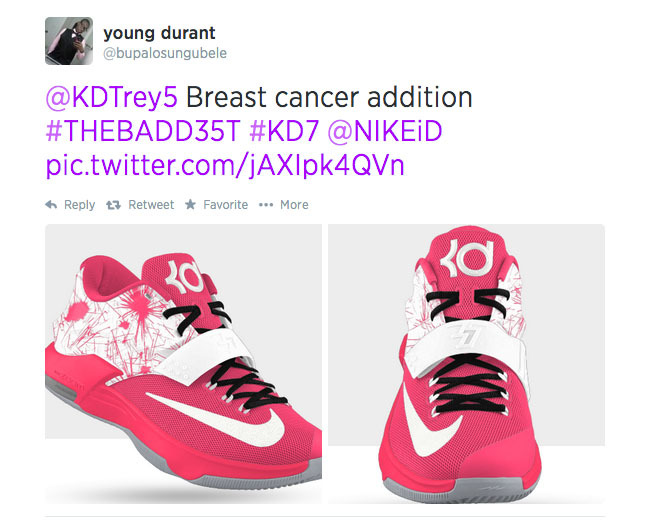 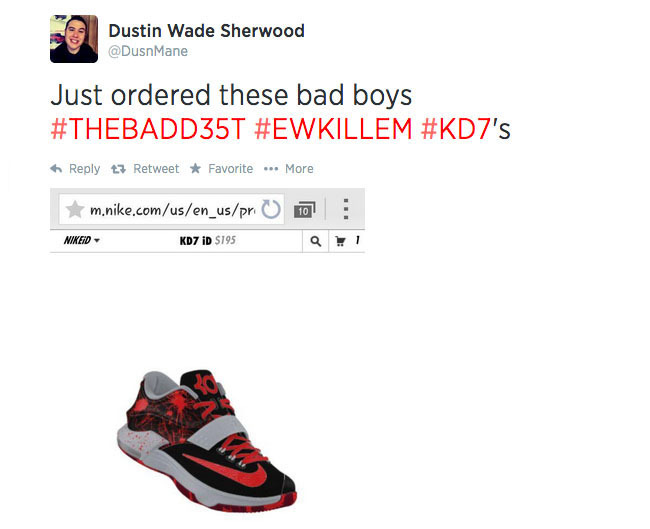 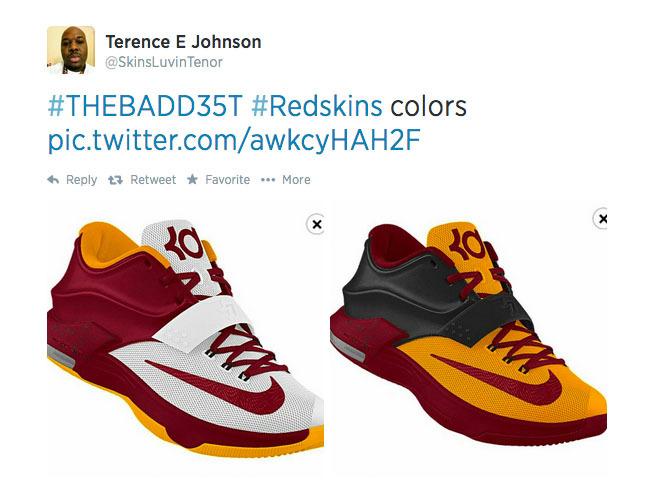 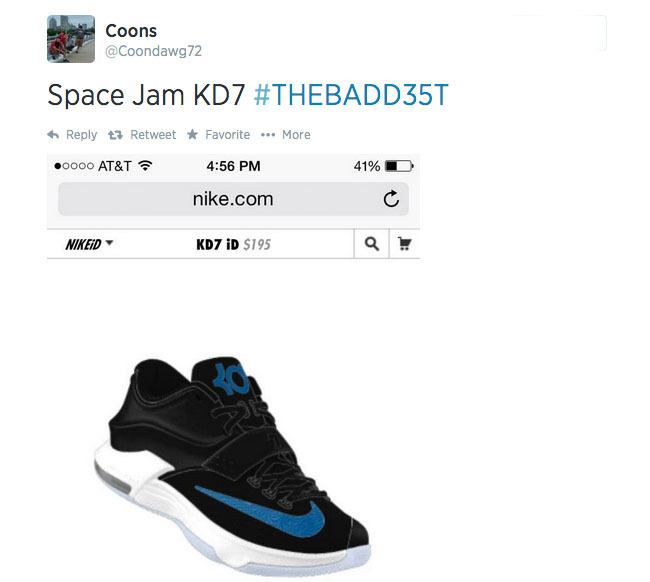 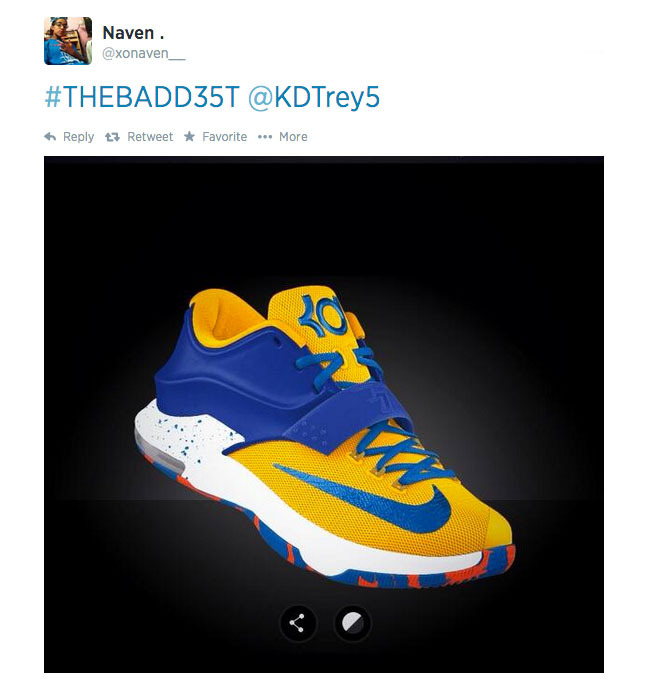 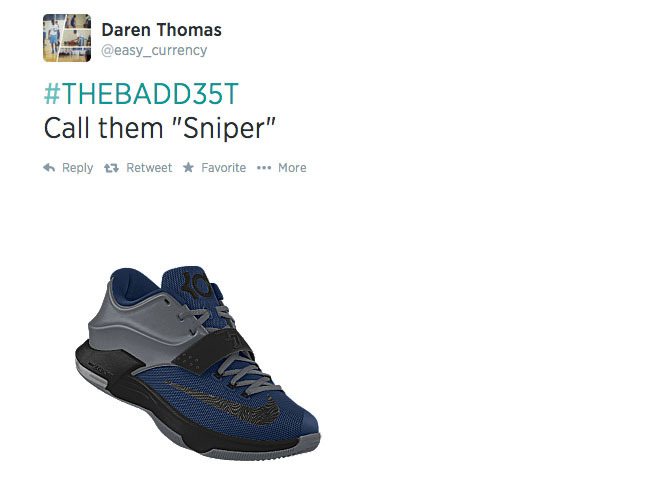 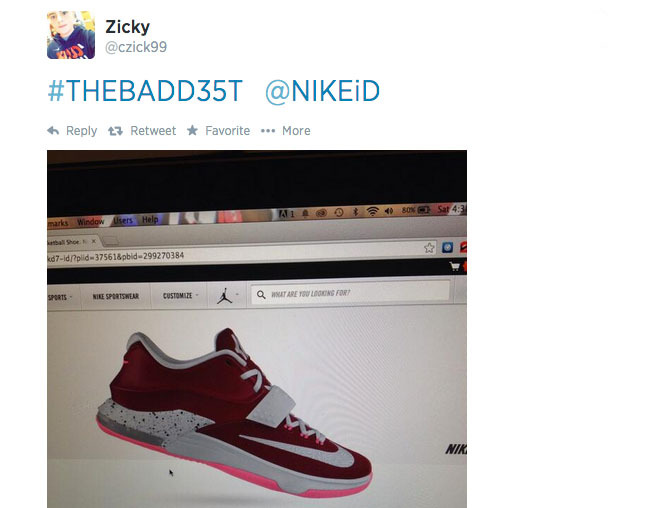 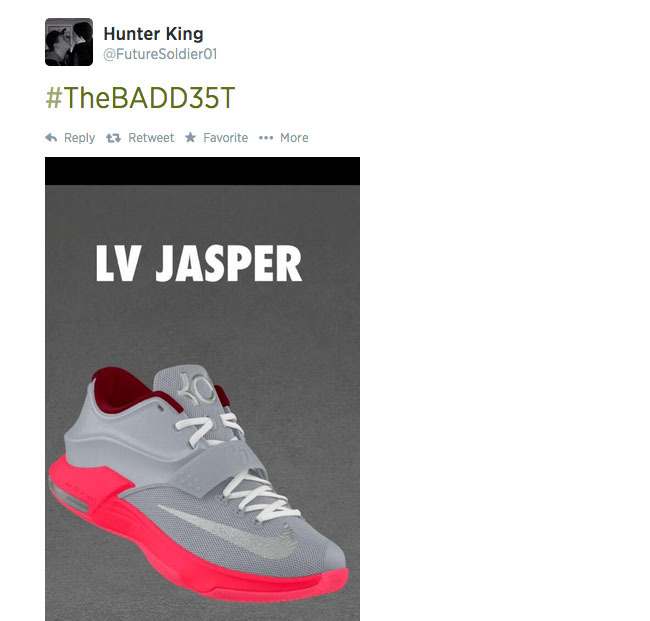 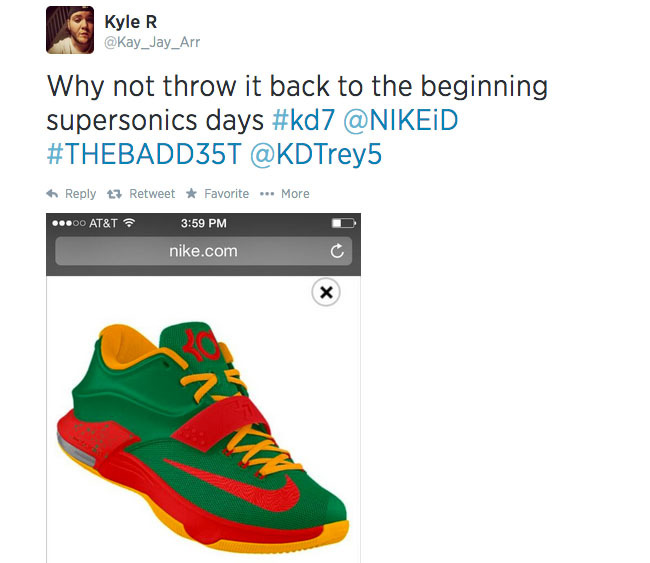 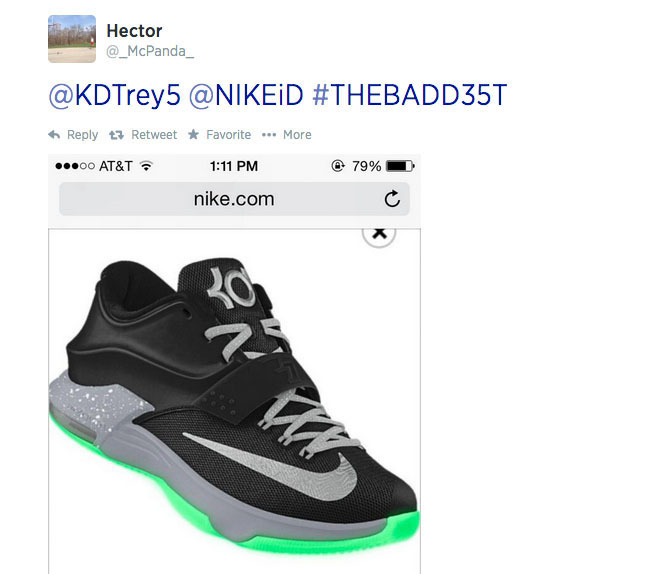 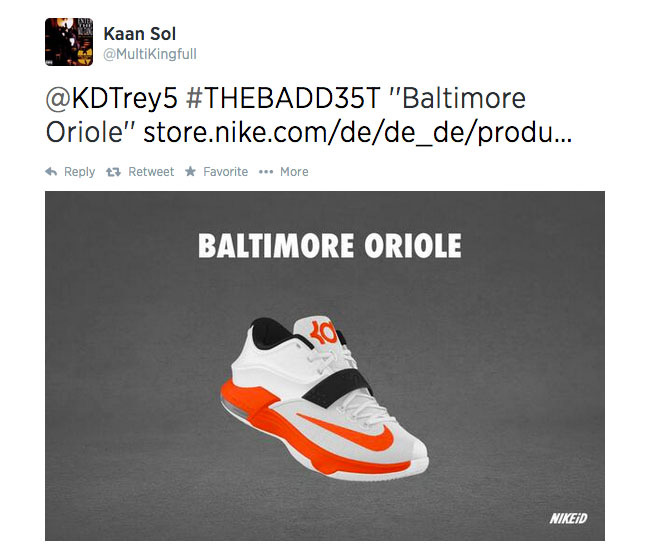 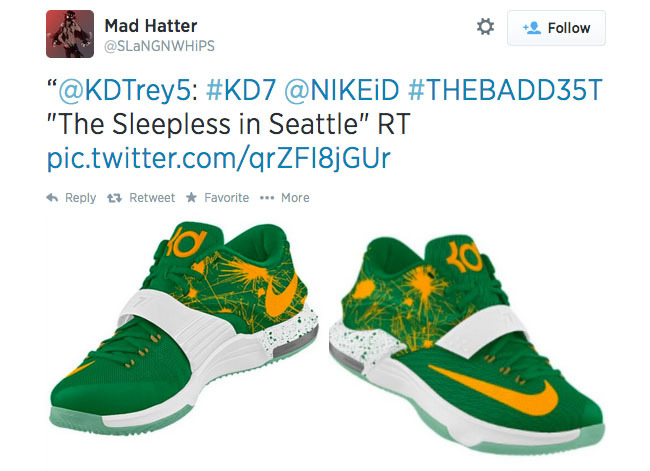 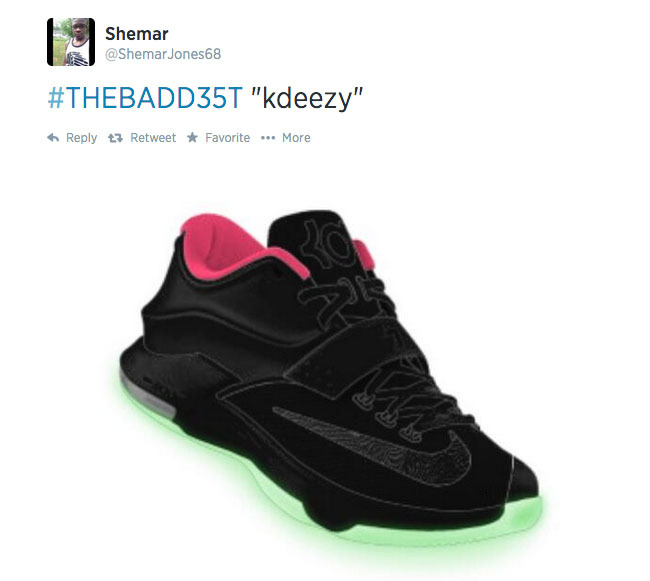 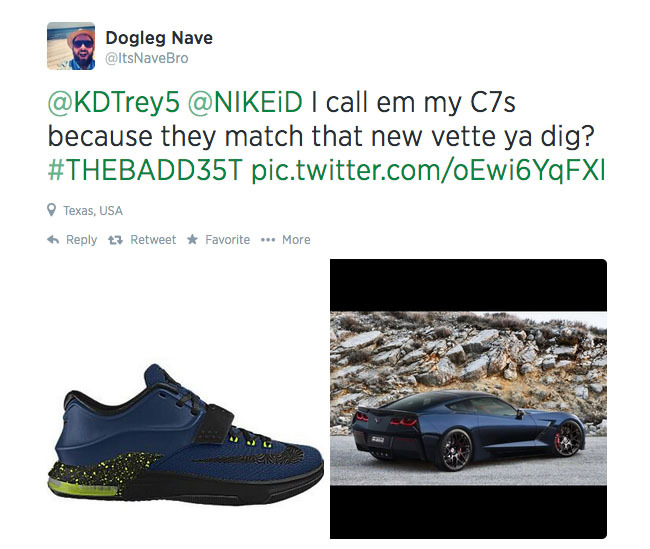 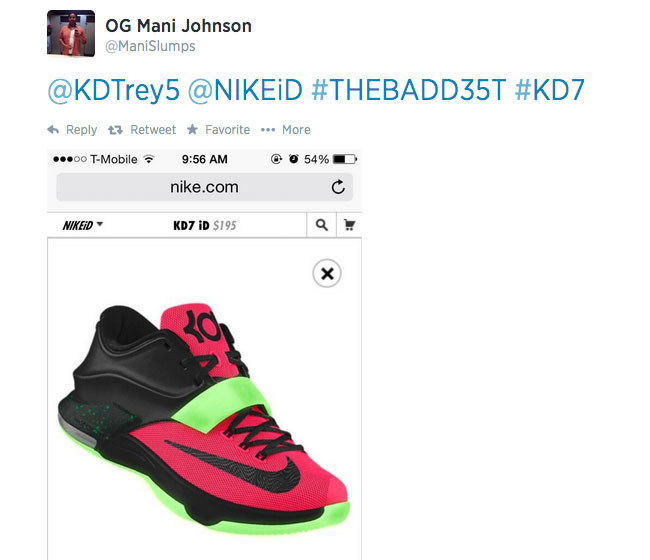 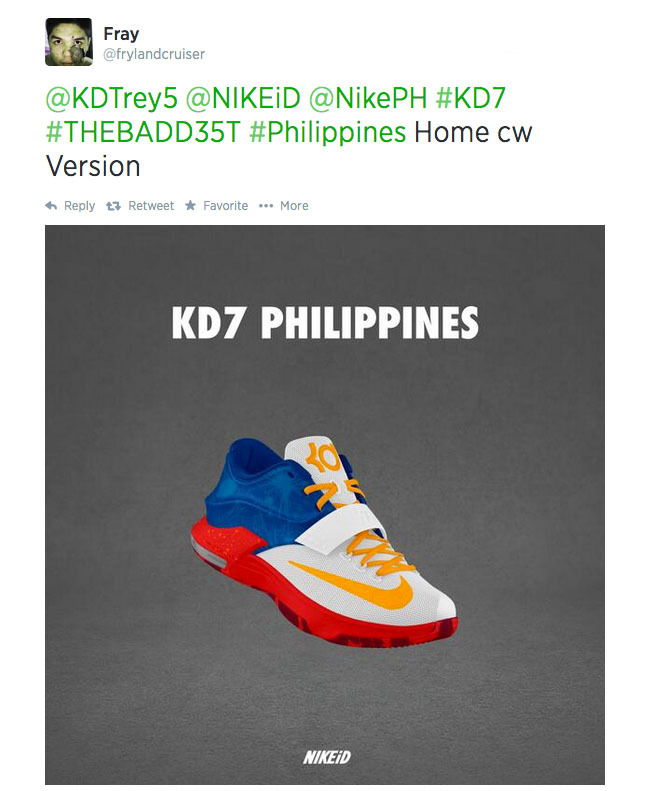 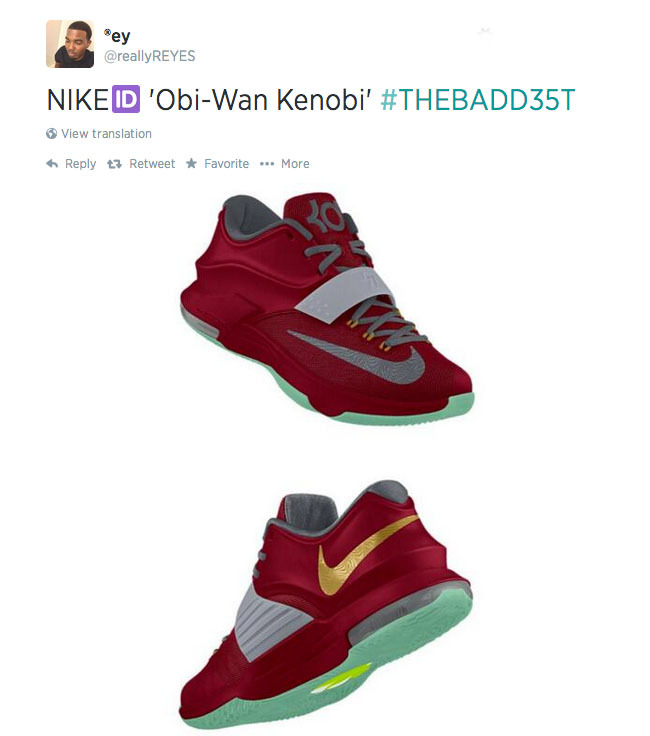 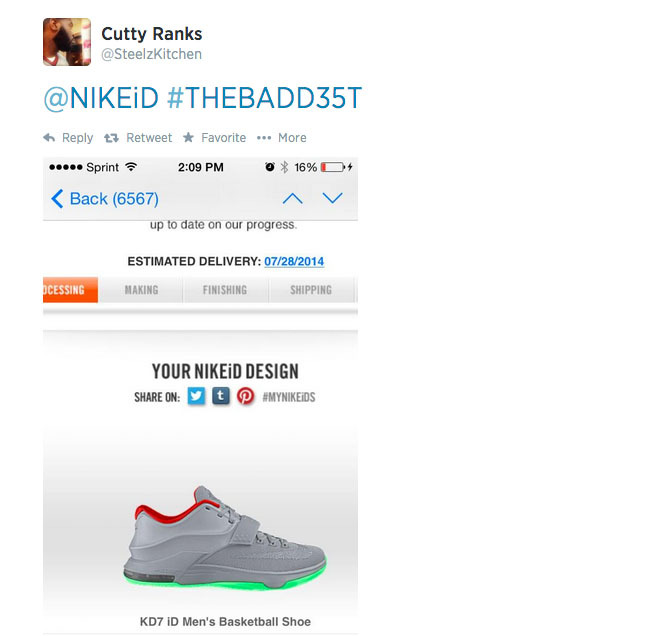 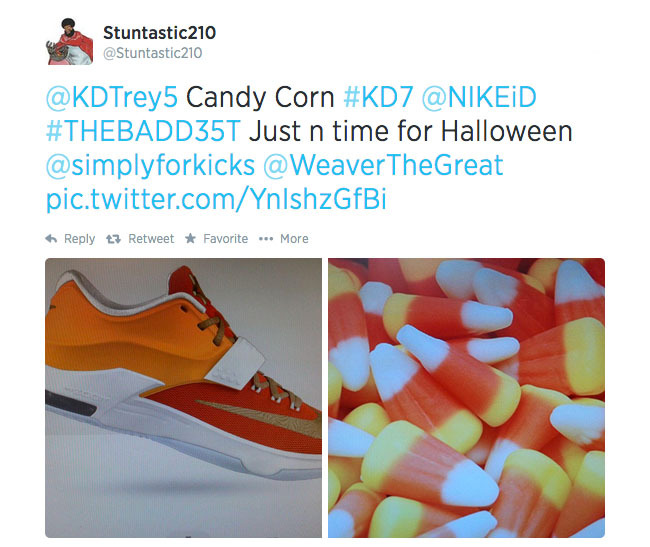 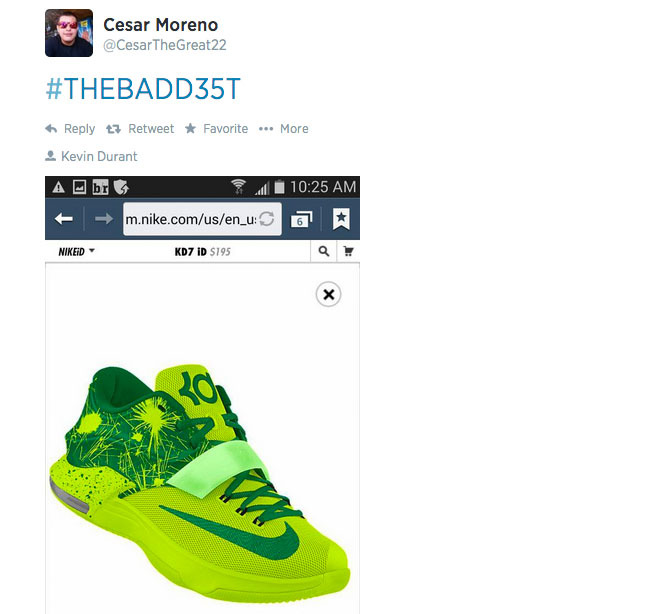 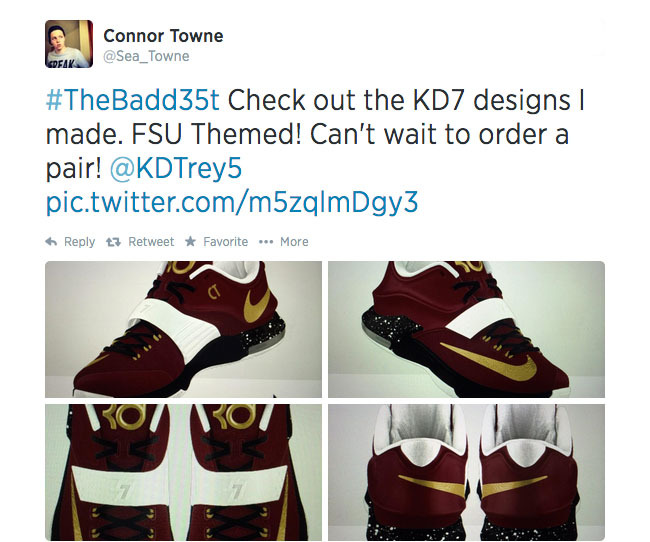 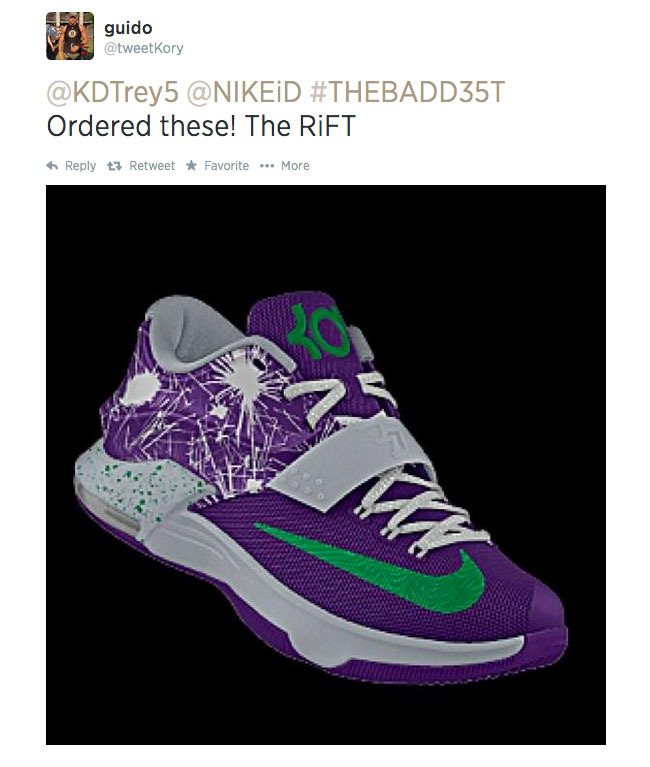 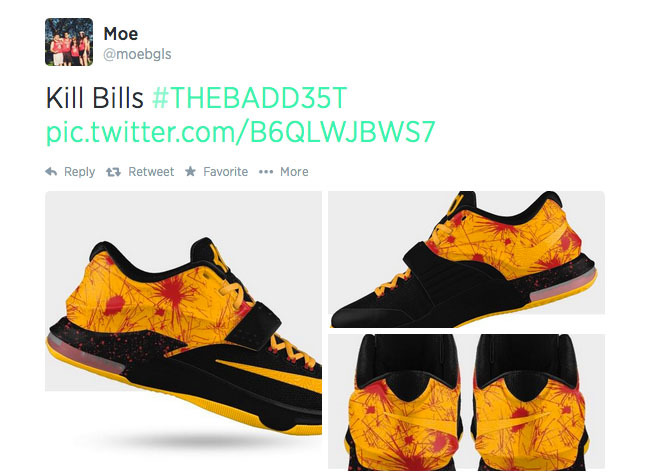 Today, Kevin Durant asked his Twitter followers to show him their KD 7 designs, using the hash tag #THEBADD35T. 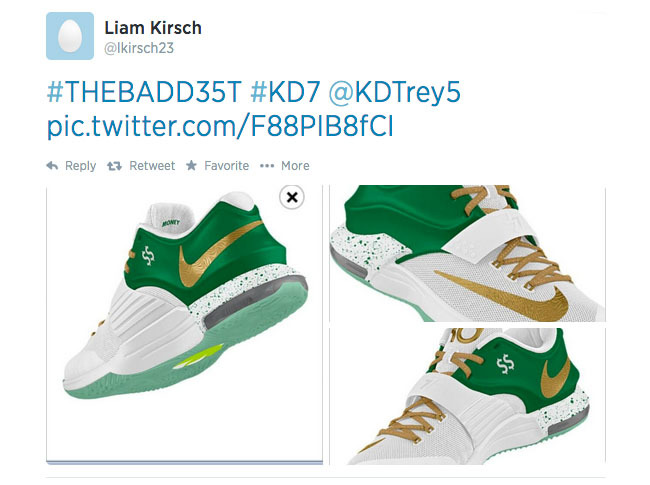 As you know, the recently launched KD 7 is available to customize and personalize on NIKEiD. 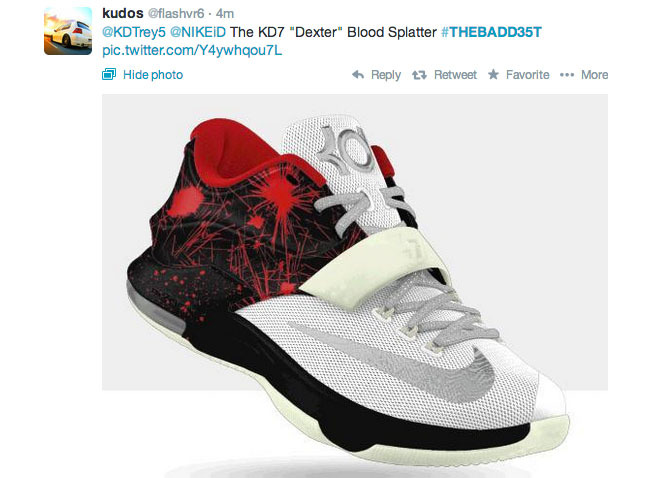 Today, signature athlete Kevin Durant asked his Twitter followers to show him their KD 7 designs, using the hash tag #THEBADD35T. 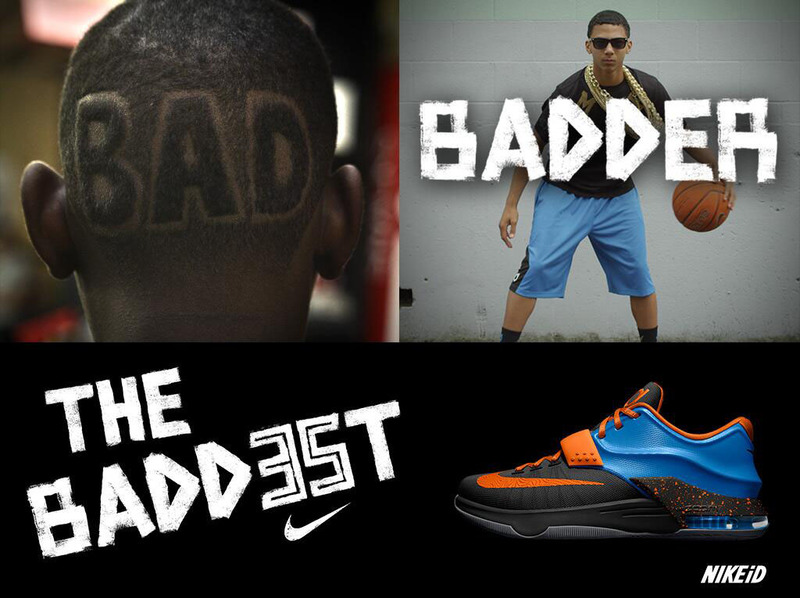 He's already received hundreds of submissions, which we've scoured through in search of the best of #THEBADD35T. 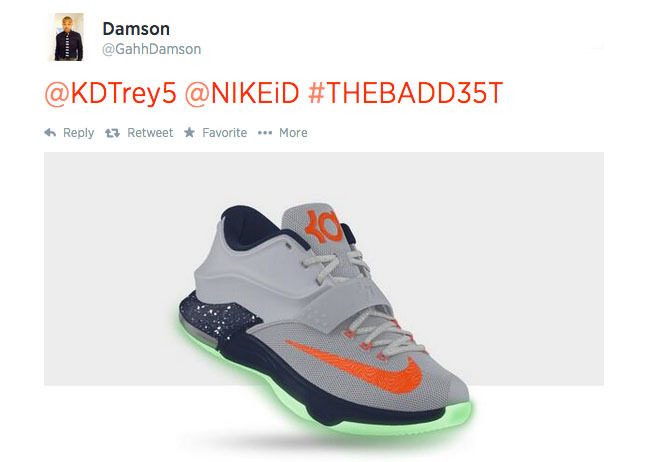 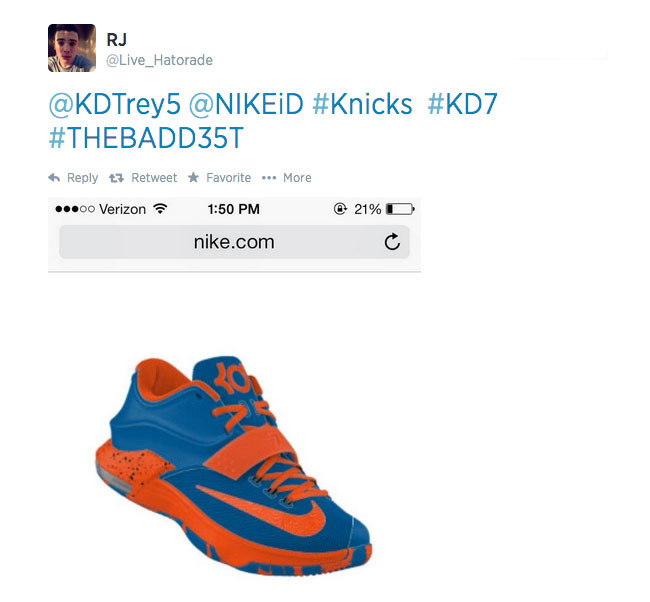 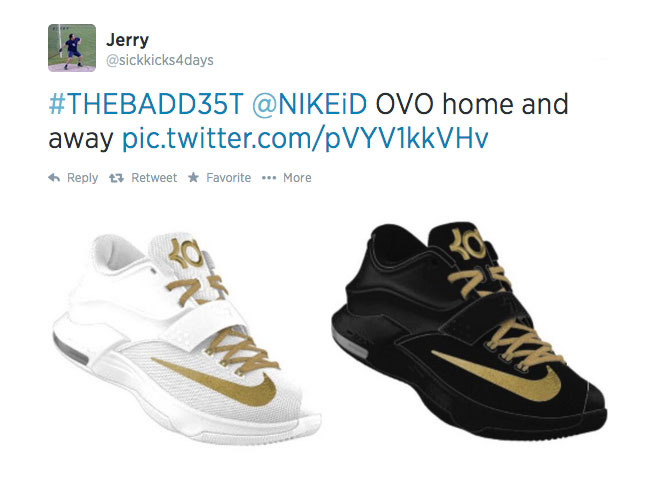 Below is a look at 35 of the best #THEBADD35T NIKEiD KD 7 design ideas shared on Twitter. 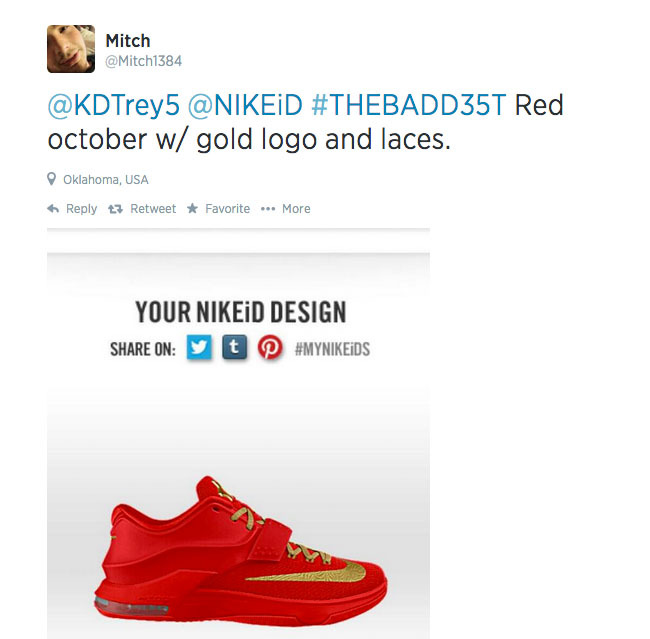 If you like what you see or have an idea of your own, you can make your own pair now at nike.com.